SKU: bdfs-od1. Category: Office Table. 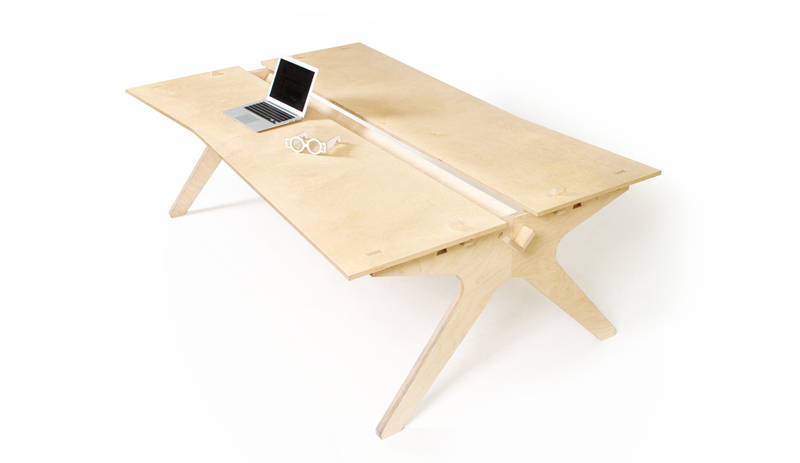 Our first foray into digital fabrication and distributed manufacturing, the Lean Desk is the original Opendesk. A flexible 4 person workstation, it was built for startups and established teams alike - and is popular for its spacious work surface. Our Lean Desk has continuous central cable-management, with a nice slot for fixing monitor arms along the whole length. Hiding these cables away, we’ve designed modular covers that can be swapped around and provide different functions - from a plain cover to a mobile phone & tablet holder and desk tidy.